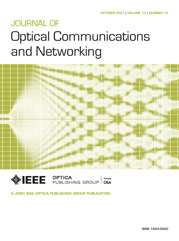 1The authors are with the State Key Laboratory of Information Photonics and Optical Communications, Beijing University of Posts and Telecommunications (BUPT), Beijing 100876, China (e-mail: jyf@bupt.edu.cn). We propose a novel scheme based on asymmetrically clipped optical orthogonal frequency division multiplexing (ACO-OFDM) for upstream transmission in next-generation passive optical networks, which features low power consumption, colorlessness, and cost effectiveness. An experiment with 5 Gbits/s ACO-OFDM upstream transmission has been carried out to investigate its performance. Meanwhile, a 2-ONU upstream transmission scheme utilizing ACO-OFDM has also been proposed, and important issues such as optical beat interference and symbol delay are studied.